Another great Etsy find. I love the doors Etsy has opened! I wasn't always a fan of mobiles, but the ones that are out these days are changing my mind. 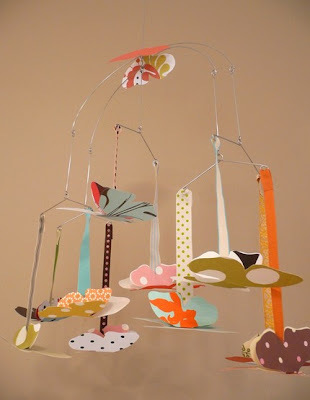 Including this butterfly mobile. It would be the perfect addition to a little one's nursery. So so cute! I love the fish mobile, too. Oh, baby stuff is so tempting! I have to control myself. But it's always fun to look!